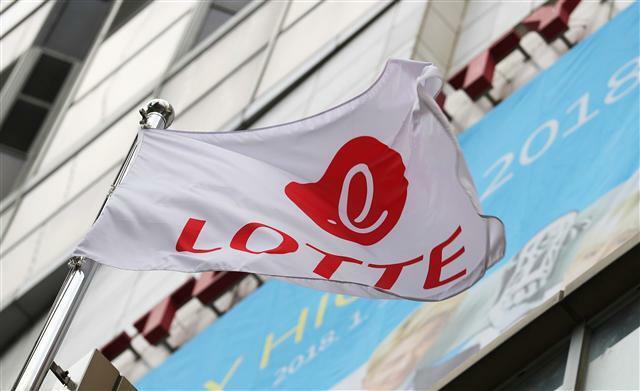 The preliminary bidding for Lotte Capital, the loan services unit of Korean-Japanese conglomerate Lotte Group, takes place Tuesday, with the country’s major banking groups and private equity funds expected to participate. Lotte Capital is one of the three Lotte companies currently on the market. The two remaining firms on sale -- Lotte Card and Lotte Non-Life Insurance -- already held the preliminary bidding on Jan. 30, with a number of conglomerates and PEFs showing interest. Among the three, Lotte Capital is said to be the most coveted acquisition candidate, given its high profitability and relatively lower regulatory barrier required of buyers. The firm has therefore been drawing the strongest interest on the market among the three Lotte firms on sale. With products ranging from installment loans and corporate lending to consumer loans, Lotte Capital possesses a diverse business portfolio and a steady profit model. In 2017, the firm’s net income came to 117.5 billion won ($105 million), up 57.1 percent from three years ago. As a capital financing firm, Lotte Captial is also exempt from local regulations that mandate entities seeking to become a majority stakeholder of a financial company to pass an ownership adequacy review by the Financial Services Commission. So far, South Korea’s two-biggest banking groups, KB Financial Group and Shinhan Financial Group, have emerged as the most likely buyers. The banks are said to be viewing Lotte Capital as a lucrative asset that could diversify and boost profits. The acquisition of Lotte Capital could turn the tide in KB and Shinhan’s ensuing competition to become Korea’s No. 1 banking group by profit, and therefore fierce competition is expected between the two banking giants. Another potential buyer is private equity firm MBK Partners, which has reportedly expressed interest in purchasing all three of Lotte’s financial units as a package deal -- an attractive option to Lotte. MBK Partners’ chances of sealing this deal will depend on the size of the highest bids that are placed on each of the Lotte companies. Lotte is set to select preferred buyers through the main bidding process next month. Meanwhile, credit card firm Lotte Card has seen 10 bidders, including Hanwha Group and Hana Financial Group, which have joined as strategic investors, and MBK Partners, a financial investor. Lotte Non-Life Insurance has drawn a number of PEFs as bidders.